Traditional South Indian festival dessert with a fruity and whole grain twist. Kesari made with Jonna rawa (cracked sorghum) and cooked with fruits. This can be served warm, at room temperature and even chilled. 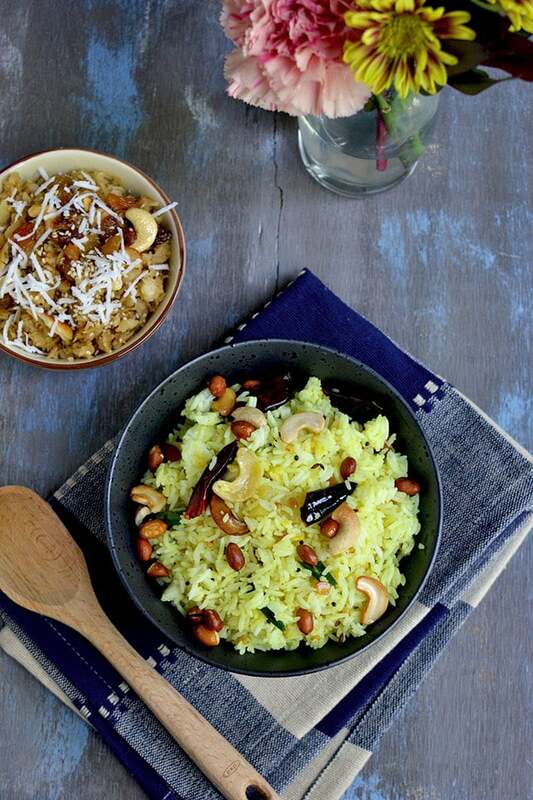 Whole grain twist to traditional Souuth Indian rice dish — Lemon pulihora made with Barley instead of rice. It’s hearty, nutritious and delicious. 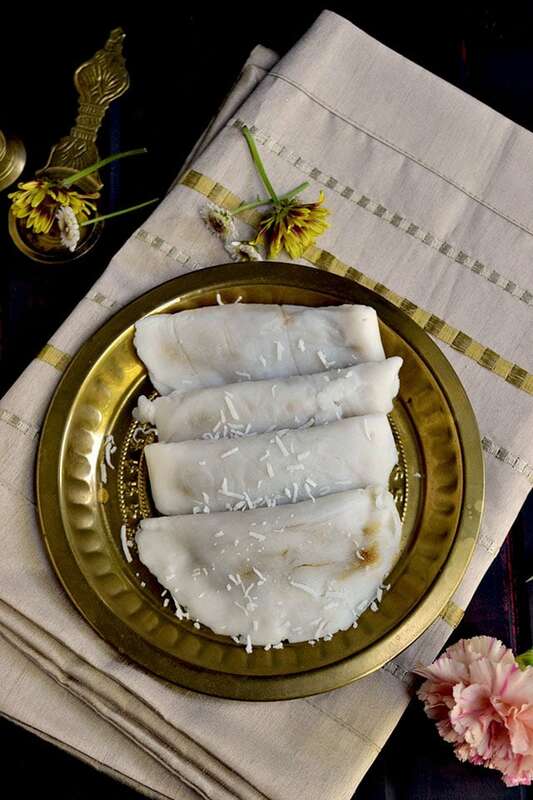 Steamed Dessert from Kerala — Coconut-jaggery stuffing inside a rice flour crepe, then steamed until done. These are perfect to make for festivals and special occasions. 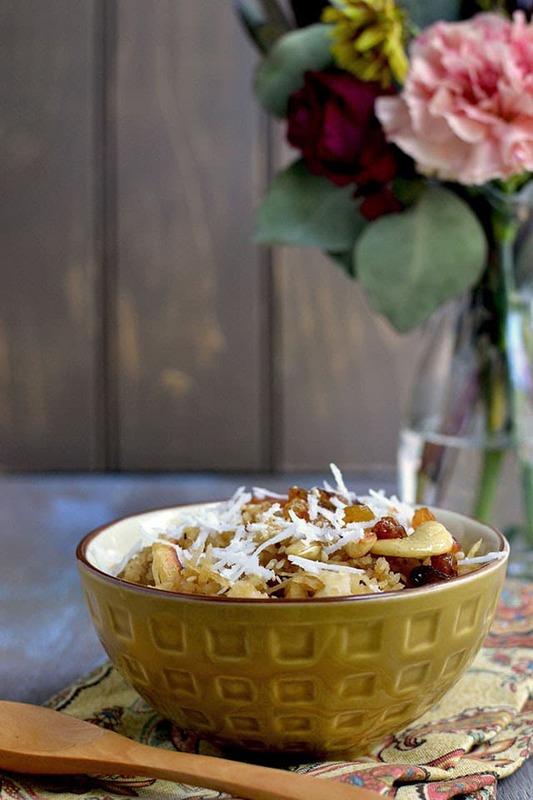 A quick and easy dessert made with flattened rice or poha and jaggery. Chitranna made with potatoes, lots of peanuts and lemon juice. 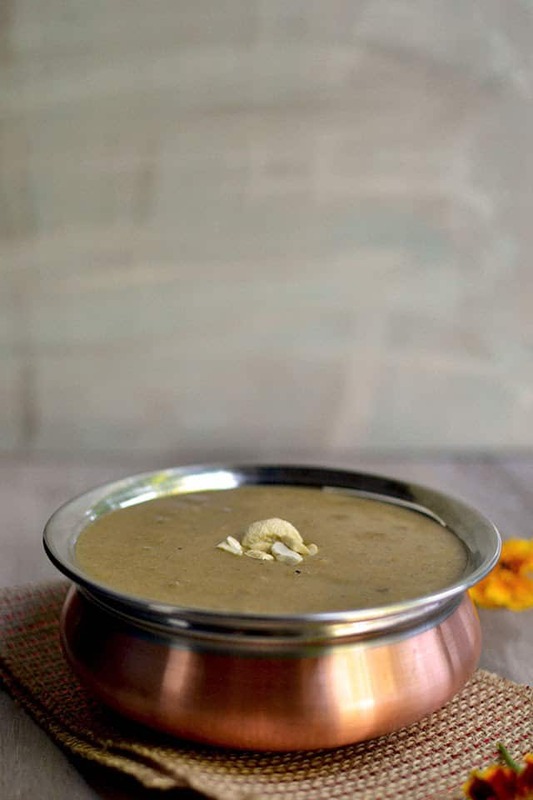 This kheer or payasam made with Amaranth seeds and flattened red rice flakes is very healthy and has no refined ingredients. So this kheer is very nutritious and delicious at the same time. It uses coconut milk instead of dairy milk making it vegan. It is perfect to make for festivals or as a guilt free dessert. 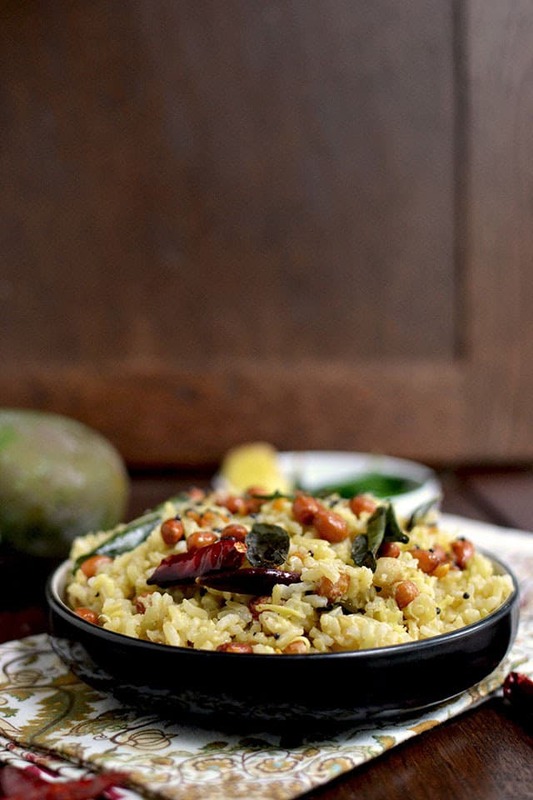 Healthy & nutritious Mango rice (Mamidikaya Pulihora) made with Brown rice. It’s a filling and hearty dish that is great to pack for lunch or as a meal. 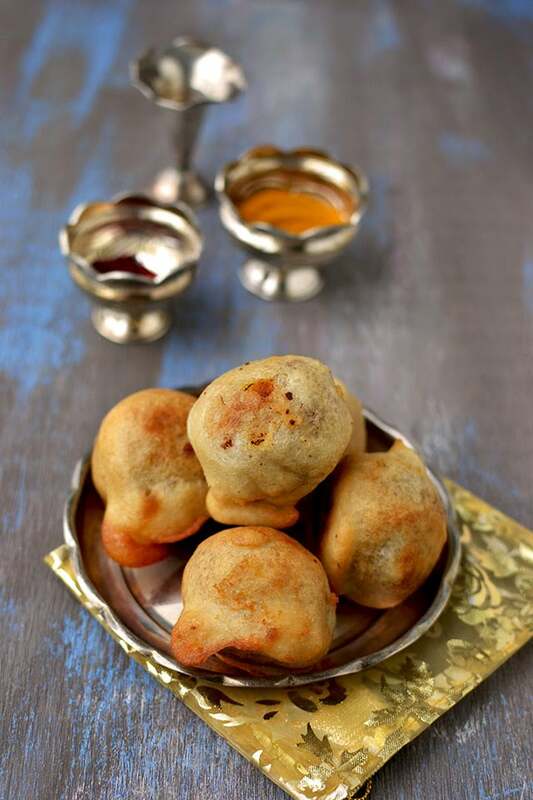 Traditional South Indian dish — Sweet lentil stuffing dipped in dosa batter and deep fried until golden and crispy. Traditional South Indian Pulihora with a twist — this one is cooked with tomato. 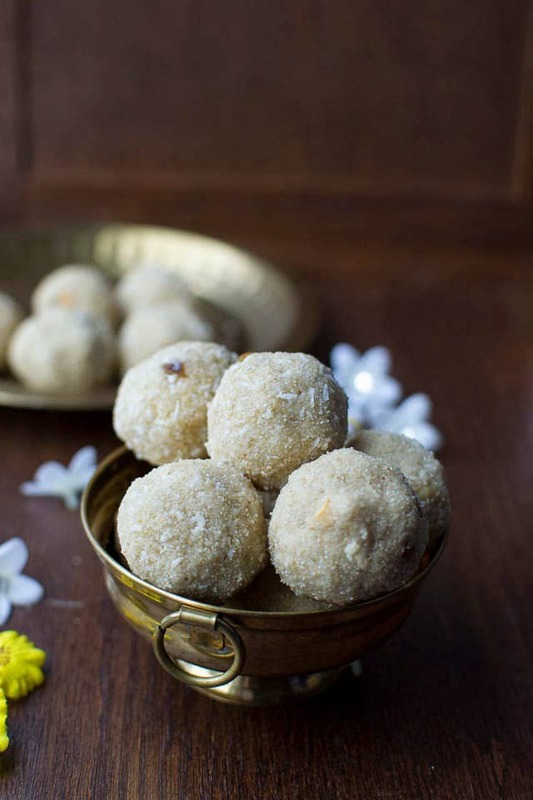 These Oats Rava laddoos are quick and very easy to make — takes about 15 minutes to make the entire batch.